A couple of days back a reader had left a comment about making pancakes for Pancake Day and we were like, “What!? there is a Pancake Day! ?” Which made us wonder if there was a Waffles Day and yes there it was! 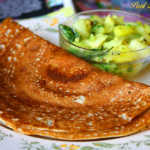 It is celebrated on different dates in different parts of the world. In Sweden it’s on March 25th, in the US it’s on the 24th of August (yay! my eldest son’s birthday). While looking further we found out that March 11th is celebrated as Oatmeal Nut Waffle day, which inspired me to try oatmeal nut waffles. 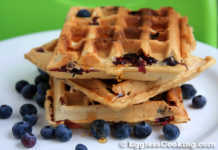 I have an oatmeal raisin waffle recipe in the blog already. 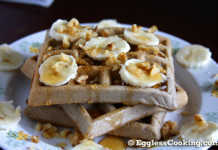 Slightly altered that recipe and the vegan waffle recipe to make these oatmeal waffle recipe without eggs. It’s vegan too. Needless to say that this oatmeal waffle was a super duper hit at home with the kids and my husband who is not a waffle fan. 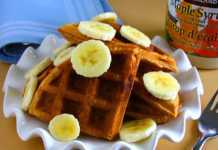 That was indeed a pleasant surprise when he said that this oatmeal waffle recipe was the best that I have ever made so far. If you don’t want to make it vegan, just want to make oatmeal waffles without egg, simply use dairy milk instead of almond milk and you should be fine. 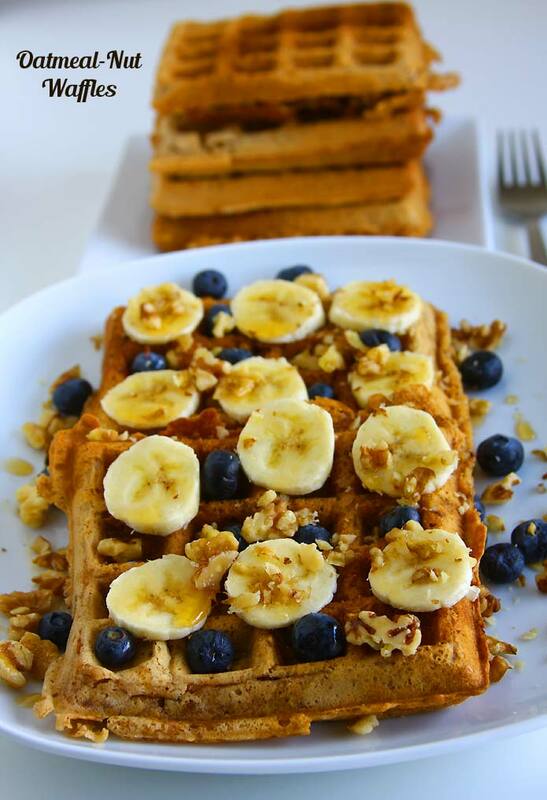 Waffles need to be an unhealthy breakfast. 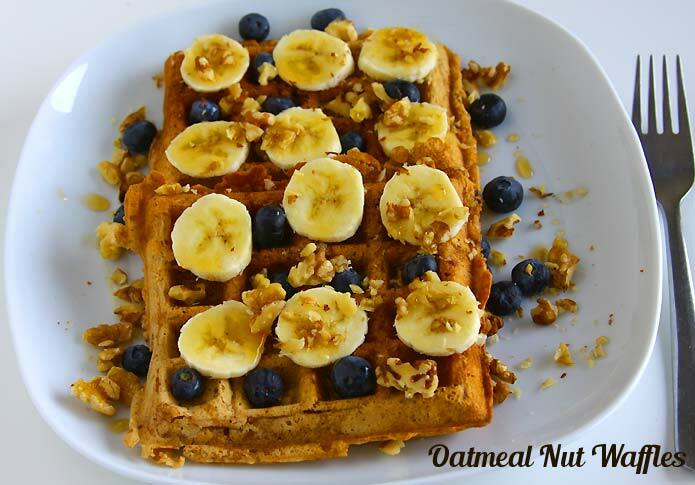 This whole grain oatmeal waffle recipe is the best example. 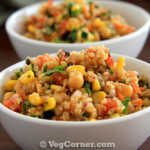 You don’t have to reserve it for only special occasions because it has got all heart healthy ingredients making it perfect for any day of the week or year or everyday too. 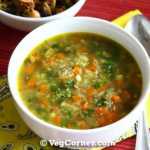 In a medium size bowl stir together the almond milk and vinegar, set aside for it to curdle. Meanwhile in a large bowl combine the dry ingredients. Add the rest of wet ingredients to the curdled milk and mix well. Stir in the wet mix into the flour mix. Use a whisk to make a smooth batter. Let the batter sit for a while, for about 15 minutes at least before making the waffles. Grease well the the waffle iron with non-stick cooking spray and prepare the waffles as usual. Don’t be in a hurry to open the waffle iron to remove the waffles. It might get stuck to the top. 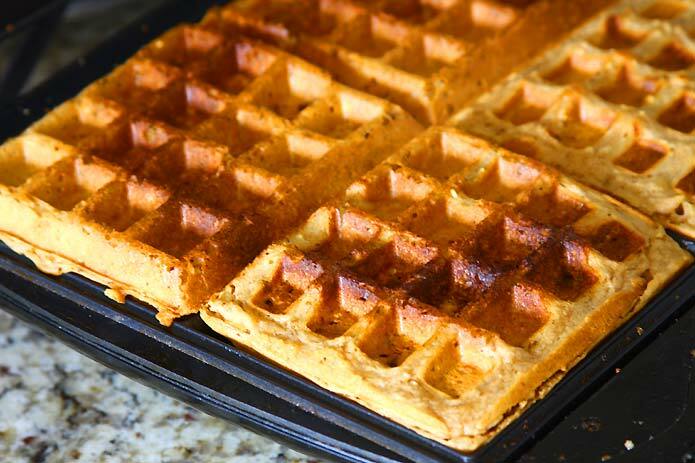 After pouring the batter, leave at least for 5 to 6 minutes or even more so that you get neat waffles. If you don’t have whole wheat pastry flour, use all-purpose flour or use a mix of whole wheat flour and all-purpose flour. You can use your choice of non-diary milk instead of almond milk. 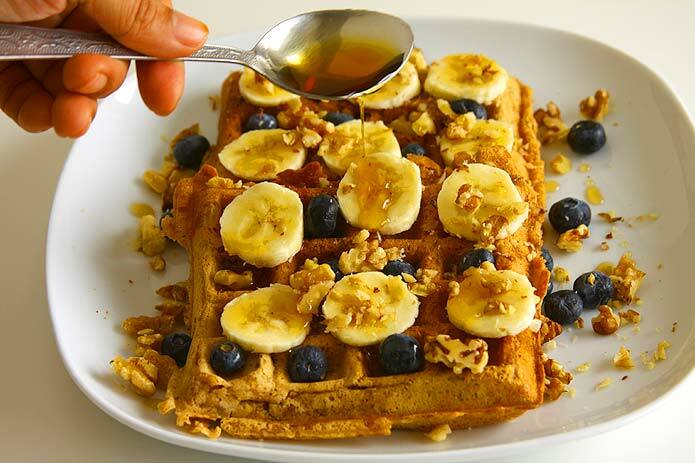 Top the waffles with your choice of favorite fruits or nuts. 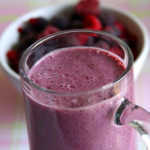 I have used bananas and blueberries. My waffles are crisp from top but are soft from bottom and in the centre. But when we bite it, it’s crisp and soft. My question is how should waffles be at the bottom, soft or crispy? Secondly I have a Morphy and Richard three in one toaster, grill and waffle maker. We have to change plates. Kindly tell me how I could improvise. Thirdly it was bitter in taste. Baking powder overpowering. I used one and a half cup flour n oats mixed. Two tsp baking powder,two tbsp oil, two tsp vanilla essence, about one and a half cup water one tsp lime juice and pinch of salt.